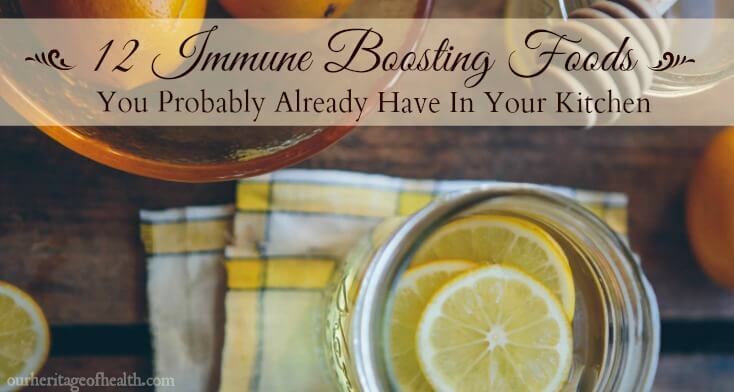 When we think of immune boosting foods, often some of the first things that come to mind are the exotic superfoods that are praised for their amazing healing properties. We tend to think that if a food comes from a faraway place, or it it has an exotic-sounding name that’s hard to pronounce that it somehow has more nutrients or more beneficial properties than the “normal” foods do. The superfoods that we sometimes forget about, though, are the more common ones that are just as good, especially since there are many different foods that all share the same types of nutrients and healing properties. So, if you’re looking for something high in antioxidants, for example, you don’t necessarily have to have an exotic berry from a faraway tropical island. The berries you could grow in your own backyard can be just as helpful. 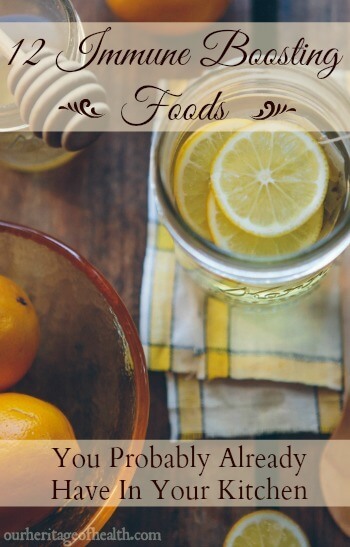 Since not everyone has access to the obscure (and sometimes pricey) superfoods, and since the times when we feel like we need an extra immune boost aren’t usually the times when we want to make a trip out to the health food store, I wanted to put together a list of the foods that have just as many beneficial properties but can probably already be found right in your own kitchen. Grandma was right about soup being the best food when your immune system needs an extra boost. Real broth, made the traditional way by slowly simmering the bones of pasture-raised animals, supports the immune system by increasing virus-fighting T cells in the bloodstream. It’s also very easy to digest and helps to strengthen the digestive system. I like making this homemade chicken broth recipe from 1833. Eggs from chickens who have spent time out in the sunshine are a good source of immune-boosting Vitamin D, and they’re also excellent sources of Vitamins A and E as well as antioxidants and Omega-3s. Expeller-pressed coconut oil, one of the most versatile and multi-purpose foods in the natural health realm, contains lauric acid and caprylic acid which are anti-bacterial and anti-viral compounds that help the body to fight off illness. Ginger is a great food to use when cooking or for making a cup of tea any time you want to strengthen your immune system. Ginger has anti-bacterial and anti-viral properties, it help to reduce inflammation, and it’s also a warming food for days when you feel chilled. Honey, and especially raw unfiltered honey, is the perfect sweetener to use when you want to give your immune system a boost. Unlike refined white sugar which can increase inflammation and suppress the immune system if you’re feeling under the weather, honey has strong anti-bacterial and anti-viral properties and is full of antioxidants and beneficial enzymes. Citrus fruits are great sources of Vitamin C and antioxidants to help strengthen the immune system and reduce inflammation in the body. Fermented foods, such as sauerkraut, yogurt, and kefir, contain a wide variety of probiotic strains, and these beneficial bacteria can help to strengthen the immune system and fight off illness-causing bacteria. Garlic contains sulfur compounds and allicin, and it has strong anti-bacterial, anti-viral, and anti-inflammtory properties. Onions have similar anti-viral and anti-bacterial properties to garlic, so you can choose to eat one or the other if you prefer the flavor of one, or you can combine both for an extra strong immune boost. Mushrooms are rich sources of antioxidants, minerals, and Vitamin D, and they have been used for centuries to help strengthen the immune system. Berries are full of antioxidants, phytonutrients, and trace minerals, and many are also good sources of Vitamin C.
By “kitchen herbs,” I mean the common ones that you probably use the most often when you’re cooking meals. While there are dozens of different herbs from all around the world that have immune-boosting properties, many common kitchen herbs like oregano, thyme, sage, and rosemary have powerful anti-bacterial, anti-viral, antioxidant, and anti-inflammatory properties. So, the next time you feel like your immune system might need a little bit of support, you don’t necessarily have to make a trip out to the health food store to get the latest trendy superfood because you might already have several powerful superfoods right in your own kitchen. This is a fantastic article. Thank you for sharing it! I also like to mix tumeric, cinnamon, clove, and ginger with a splash of honey into an almond milk and yogurt smoothie (or you can dump it into plain or vanilla yogurt). I feel like it also boosts my energy in the mornings when I am feeling less than stellar. Thanks again! Another informative article, Lori. It’s interesting how some of the so-called ‘super foods’ are actually natural/organic items that have existed and been used for hundreds (if not thousands) of years. Moreover, most of them are items that we can grow in our own kitchen garden. As you know, eating healthy does not have to be some overly-complex endeavor. 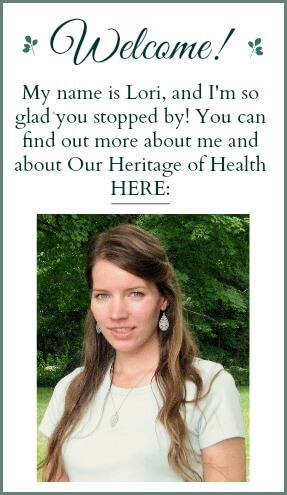 Using basic, easy-to-grow (or procure) ingredients, and keeping recipes relatively simple, is how our ancestors lived (I am from English and Irish descent). And, as per the focus of your article, some of the most simple food items can provide some very beneficial effects (i.e. immunity system health). Personally, I love mushrooms and garlic (and the breath mint industry loves me).